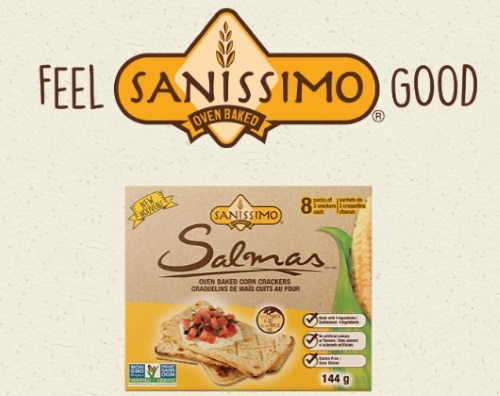 Chickadvisor has a new Product Review Club Offer for Sanissimo Salmas Oven Baked Corn Crackers! 200 lucky ladies will have the chance to sample Sanissimo Salmas Oven Baked Corn Crackers, a delicious oven-baked cracker made from a simple recipe of only four ingredients. Top these babies with your favourite hummus, spread, or salsa for a perfect instant treat. Offer open to Canadian residents only. Selected members will be contacted by email the week of February 13, 2017. For extra consideration, help share this opportunity on social media and remember to include #trySanissimoSalmas #FeelSanissimoGood.